A crowd of elementary-aged children pretending to be Sherlock Holmes could be seen at Riverside Central Elementary School on Thursday, and thankfully their good forensic work paid off when the criminal was apprehended. 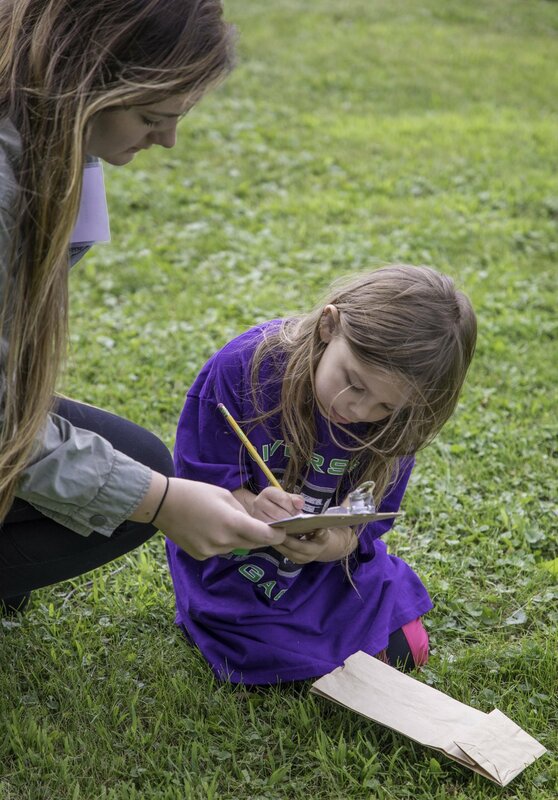 The forensic activity was just one of a handful of experiences put on by Winona State University-Rochester as part of the 9th annual STEM Camp, a four-day event held at Riverside and Gage Elementary schools for Rochester kids in summer school. Graduate Education students from WSU-Rochester partnered with teachers from the Owatonna school district, giving students a firsthand look at how STEM fields of study can be applied to real-world tasks. The camp, created in 2010, has grown threefold since its first year, with over 150 students participating this year (up from 47 in 2010). Kids are able to choose from different classes like “We Do Lego,” “Bubble-ology,” and a forensic class where students collect fingerprints, shoe impressions, and other forensic data, as well as analyze writing samples. The WSU-Rochester STEM camp is spearheaded by two associate professors of education at WSU-Rochester, Dr. Bryan Matera and Dr. Joel Traver. Both professors saw the importance of presenting the camp’s core ideas in a way that kids would remember. With hundreds of kids smiling, laughing, and learning, it seems that the hands-on approach championed by WSU-Rochester was making its mark on the next generation of Rochester’s kids — and the experience did the same for Wood, one of Rochester’s newest teachers.